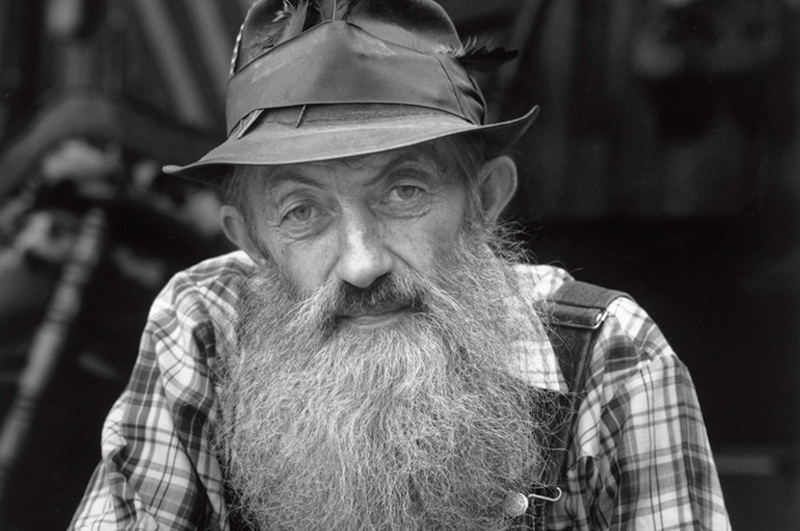 Home » appalachia , moonshine , north carolina , popcorn sutton , popcorn sutton acoustic jam , popcorn sutton tennessee white whiskey , popcorn sutton tribute , tennessee » All kinds of Popcorn Sutton goodness! All kinds of Popcorn Sutton goodness! There's just no stopping the legend of Marvin "Popcorn" Sutton! First thing's first: the Third Annual Popcorn Sutton Tribute is set for August 3-4, once again in beautiful Maggie Valley, North Carolina! That's right this year it's gonna be a two day event! I'm currently planning to be there for all of it. Wouldn't surprise me at all if next year's is a three-day extravaganza, given how Popcorn's life and times continues to gain legions of admirers. And there are gonna be even more after this article in The New York Times about Popcorn's life and likker. There's a terrific photo of Mrs. Pam Sutton holding a jar of Popcorn's original moonshine. Meanwhile, attorney Will Cheek notes that three years after his passing, Popcorn has achieved a victory of sorts. Namely, that distilling liquor is now legal in Cocke County, Tennessee (where Popcorn lived). And though it's nearly a year old, I'm led to direct y'all's attention to Arianna Armstrong's essay "Portrait of a Moonshiner", which is packed with a bunch of biographical information about Popcorn Sutton that I didn't know previously (like how Popcorn's father's name was Vader Sutton, and how Popcorn would use his daughter's baby bathtub to mix the ingredients for his likker). Hey Chris I am taking this to the town of Maggie Valley meeting and I am taking all of your articles for them to see!!!! about Popcorn Sutton, Ms Pam Sutton, and Maggie Valley,NC hosting this great grass roots Tribute.Thanks so so Much for being such a great friend to us all to!!!!! We love ya for all you do!